In this series, we speculate on what actors would be the perfect choice to play an upcoming character, or what type of character a particular actor is best suited for. Feel free to unilaterally agree with all our picks voice your opinion in the comments! That bastion of recycled television premises, CBS, has announced that their combinations of CSIs, Laws and Orders, and NCIS people are not igniting the imaginations of the average viewer. Therefore, rather than greenlight a provocative new series about something that hasn't already been five different shows, they're doing a new Star Trek series. 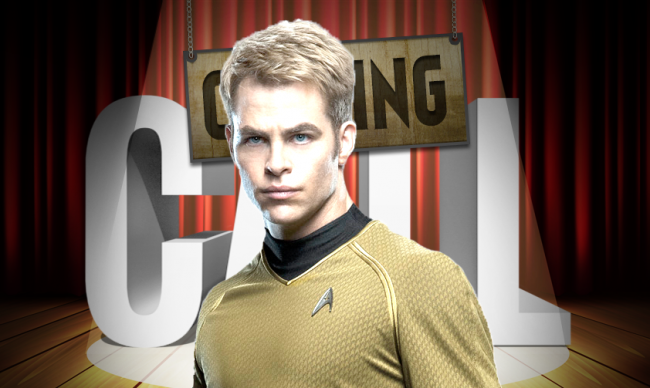 The good news: it's a new Star Trek of some kind. Yay. The bad news: American network television has been sucking lately, and that's bound to bleed into the Star Trek universe now. The polarizing implications: this show could be in the old timeline or the new Abrams timeline. Or both! I submit that the new final frontier should be alternate dimensions or timelines. How about a ship that can travel between them? But who should crew such a dangerous five year mission that may only last two seasons? Traditionally, the captain of a Trek vessel or station is the face of the Federation. That can manifest itself in the daring of Kirk, the resolve of Janaway, the wisdom of Picard, or any number of traits that should embody the future society. But above all, this is the person of ultimate authority aboard a ship of thousands. So the actor required must be capable of holding the respect and obedience of any crazy crew. Maggie Q would be the most rough-and-tumble Captain since Avery Brooks as Sisko. Her starring role on Nikita shows her aptitude for a leadership role and her capability to lead an away team. Meanwhile her performance in the Divergent series and her stint as the voice of Wonder Woman on Young Justice have belied a vulnerability and inner conflict, even when a strong veneer is required. I can picture Maggie Q taking the Kobayashi Maru with grace, dignity, and fearless initiative. Then possibly getting into a fight at a bar afterwards. That's a Captain right there.